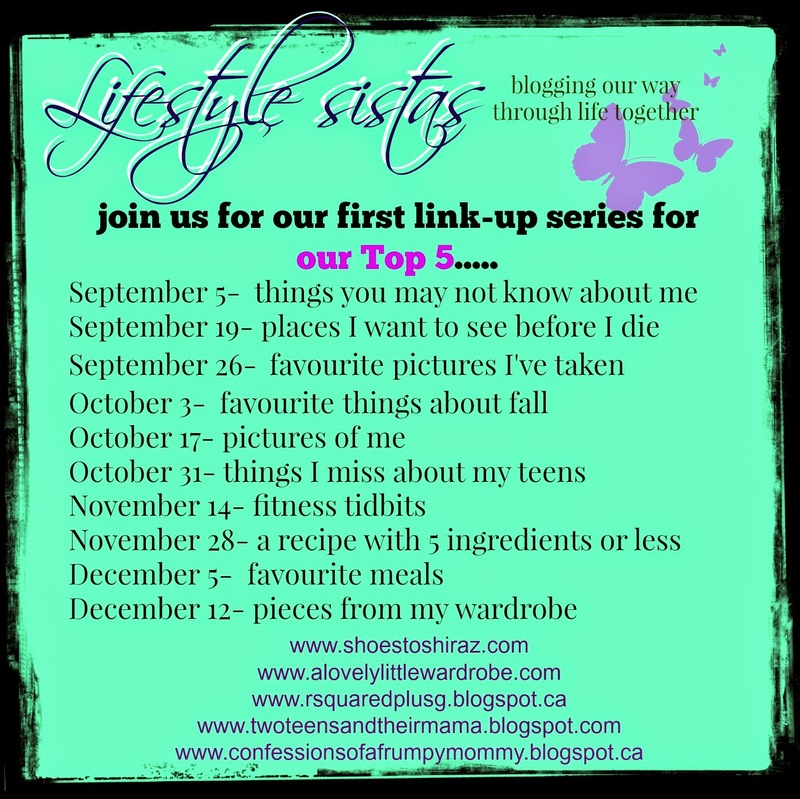 I'm so excited to be participating in my very first link up series with four fabulous ladies that I've met in the blogosphere. We each came up with two topics, and on the following Fridays we'll be blogging about them. I think it's going to be really fun, and I would love it if you would join us next time. --I love to ice skate. When I was younger, I took lessons for years, convinced that I would be the next Dorothy Hamill. Then the reality of hours of early morning practices sunk in, and that was the end of my brilliant career. A few years ago I went skating with my older son, but I spent the entire time terrified I was going to fall and break something. I'm pretty sure my skating days are over. --I'm married to my high school sweetheart. We were fifteen on our first date, and his mother had to drive us to the restaurant. He was also my first and only boyfriend, first and only kiss....well, you get the idea. Here we are at our Senior Prom. There is so much pink in this picture, I can barely stand it. My friend's mom made this dress for me from a picture. She should really be on Project Runway. --I got straight A's in high school and college. Looking back now, I wish I hadn't. I missed so many fun things because I was constantly studying, and honestly, it hasn't mattered one bit in my adult life. 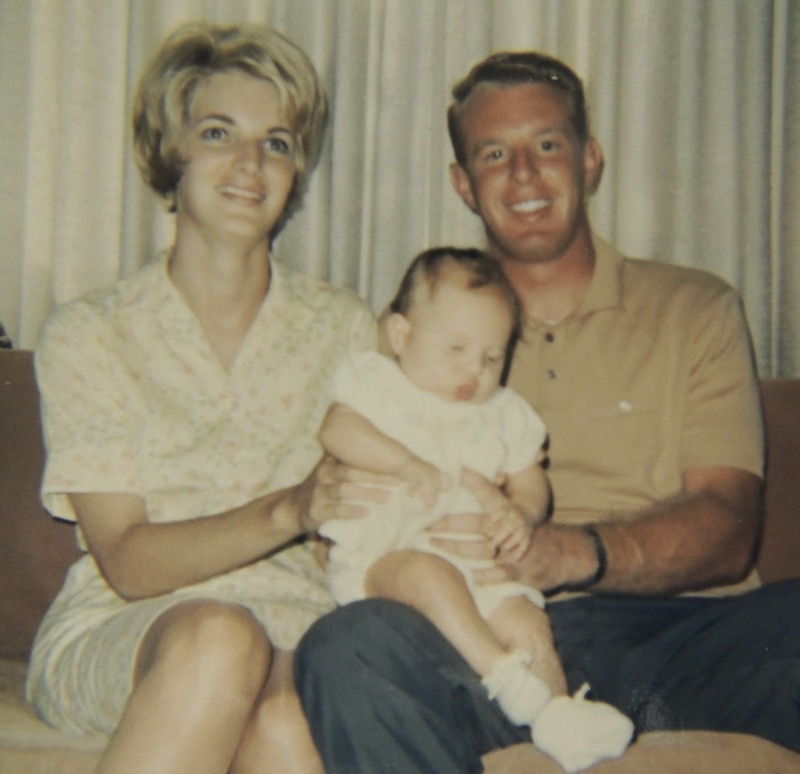 --I was born in 1967 in Berkeley, California, in the midst of a protest about the Vietnam War. My mother likes to say it was a riot, to add more drama to the story. The streets to the hospital were blocked, and my dad had to get out of the car and ask the "rioters" to let them pass. Obviously they did, because I was not born in their Pontiac GTO! --I cannot dive or do a cartwheel, and I refuse to bungee jump. Apparently I can't do anything that leads with my head. I also cannot parallel park, which has nothing to do with my head, but my hubby thinks it's weird, so he told me to throw that in here! Thanks to Carrie for the link work, and Deena for the wonderful button. Go check out the other ladies - and I hope you join us next time for five places you want to see before you die! What a great idea for a link up! 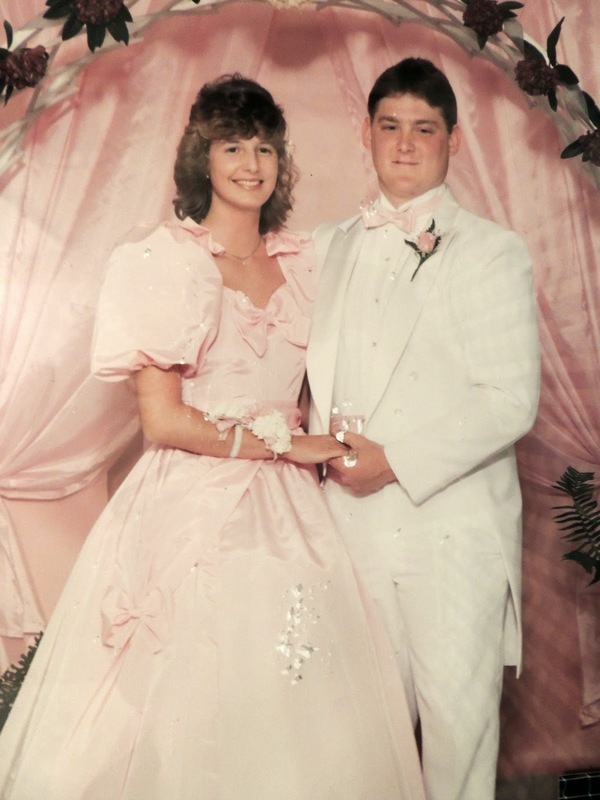 I love your prom picture and all the pink. :) I was just talking about parallel parking this weekend. I don't remember how to do it and they don't require it on our drivers' test anymore so my kids don't either. My husband can though! We still have to pass parallel parking in Washington. My sons are both really good at it - obviously learned from their father! Ice skake! You'd mKe a great canadian :). Your prom picture is a keeper. Love those pictures where you look back and ask yourself what you were thinking! Great post. So nice to else. A little more about you! I had a hoop skirt under that dress - my poor hubby couldn't even get close to me! My strange quality is that I can parallel park better than if I have to pull into a spot! Love this linkup idea! Will come back next week to link up with you! I hope you link up with us - that would be fun! I do still have the dress - it's packed away with my wedding dress and several bridesmaid dresses. Also, hilarious that you can't do things that lead with your head lol! That's a precious noggin' , of course you don't want to do anything to it! You're so sweet! I think I'm probably just a big baby! I love the prom dress, that was a lot of work! It is funny how things change. I use to skate all the time but now the skates hurt the bottom of my feet. Do I put orthodics in my skates? I tried about 3 years ago to do a cartwheel and it didn't go well. I used to be able to do a fairly acceptable one a few decades ago but I think my head is best looking forward! My friend's mom is an amazing seamstress - obviously :)! I'm afraid if I skate or try a cartwheel I will break something - and there is NO time for that! I also married my high school sweetheart! Yay for high school sweethearts! I love that you married your high school sweetheart! Thank you! I obviously know a good thing when I see it :)! I have to admit that I love posts where bloggers relieve more about themselves than they had before. I, too, love that you married your high school sweetheart. Thanks Karen. I always think it's fun to read about other bloggers. Love this and I think you're great. Awww Deena - thanks! I think you're great too :)! I loved this and your prom picture is beautiful. This sounds like my daughter her and her husband fell in love with each other in the fifth grade. Hervthey are 23 and 24 getting ready to have twins. It's been amazing to watch them through the years. They are so much in love. My husband and I wentbto high school together to but we both married other people. We each had a child then ran into each other again. We met on a Friday and moved in together on SATURDAY and married immediately! That was 23 years ago, people said we were crazy. We're best friends as well as spouses. My hubby and I are best friends too. I have a friend whose parents eloped after knowing each other for a week - and they were married for 65 years! Love the stories about you and your daughter! I used to ice skate when I was a kid and loved it! Not sure if I'm brave enough to try it now though. I cannot even believe that dress was made simply from a picture - that is incredible. I don't think I have parallel parked since drivers ed nor do I want to. Love your love story with your hubby. So sweet!! Thanks Carrie. The inspiration for the dress came from the brand Gunne Sax - do you remember those from the 80's? I saw the picture, but could not afford the dress. My friend's mom said she would make it if I bought the fabric and gave her the picture. I couldn't believe she got it done in three days - and it was an exact replica! Awesome Link-up...loved learning more about you Lana and seeing the old pics!! Beautiful! Thanks Katie! You're so sweet! I'm glad the rioters let your parents through! I haven't parallel parked since my driving test, I think. Maybe once or twice when I lived in SF but I'm sure I wasn't good at it. I'm glad they let them through too. Although being born in a car would be a really cool story. Glad I'm not the only one who is terrible at parallel parking. I avoid it at all costs :)! I hope you'll link up with us next time!